A t Horndean C of E Junior School we have a Children’s Christian Values Team which is made up of a representative from each class. Children who are interested apply and then the candidates are voted to become the class representative by their peers. This team is led by Mrs Bundy and they meet regularly to discuss and/or action proposals. 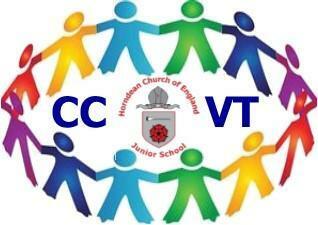 The CCVT’s main aim is to consider how well the school is living out its TLC vision and ethos. As well as this, children on the team will address a variety of issues ranging from health and safety, fundraising, setting and organising competitions and even participating in the interview process of new staff. The members take feedback to their classes and bring queries to the meeting from their peers, giving every child in the school the opportunity to have their voice heard. Our Christian Values Team is comprised of school staff and Governors. Our aim is to ensure that the school’s Christian vision of Thinking with Thanksgiving, Learning with Love and Caring with Compassion is central to all we do. We oversee the work of the Children’s Christian Values Team and ensure school staff and governors are kept informed of both teams’ ongoing projects.